Build a robot to use with the BBC Micro:bit. You will build a BBC Micro:bit robot that is yours to keep. 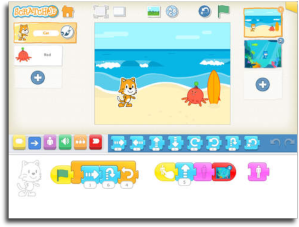 Once built you will be shown how to program your robot using programming blocks just like Scratch. This course demystifies the tech and is suitable for everyone. The robot is yours to keep at the end of the course! You will need to bring your BBC Micro:bit and 4 AA batteries with you. Get in touch if you need to borrow a Micro:bit on the day.